AndroidVirus and Xander Kane review the worst in horror so you don't have to! 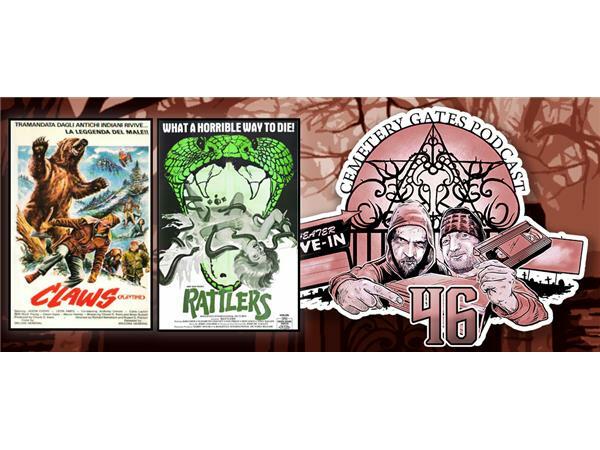 This week we are reviewing movies involving animal horror! Up first, hunters wound a grizzly bear in a national forest in Alaska. Soon after, the wounded bear goes off and kills several other hunters, hikers, campers, the sheriff and a little boy scout. We are reviewing Claws! After that, a herpetologist investigating a series of fatal rattlesnake attacks discovers that the creatures have been infected by a mysterious nerve gas disposed of in the desert by the military. We are watching Rattlers!